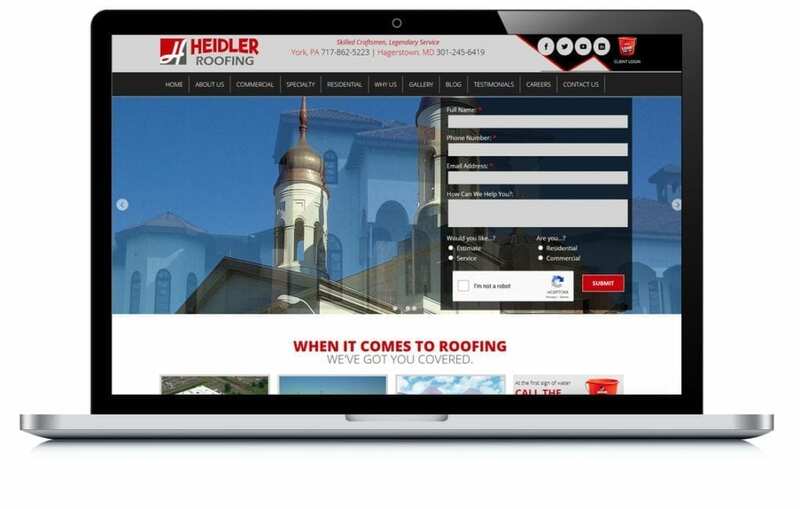 Heidler was looking to grow and bring in more leads for their roofing business. Their existing efforts were bringing in a handful of leads, but were very time-consuming for limited internal staff. 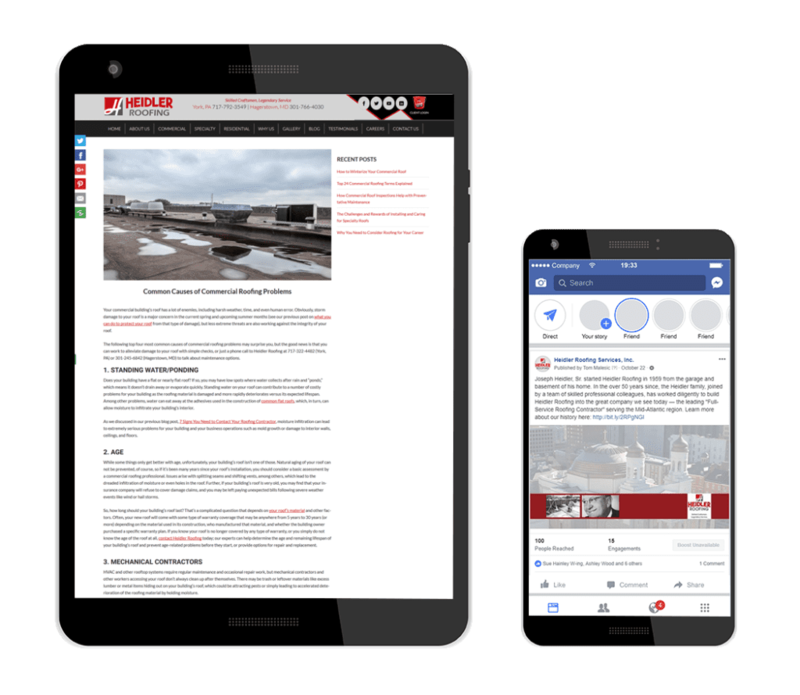 After helping redesign their website, we implemented a digital marketing campaign and lead tracking, so they can clearly see the results. They’re now seeing about 10x the number of leads per day than they were in 2017. Redesigned website and multi-channel marketing campaigns generated 120% increase in organic traffic and 10x more leads! Heidler Roofing started back in 1959 from a humble basement in York, PA, and has since grown into a leading roofing contractor for the Mid-Atlantic region. In order to keep growing the company, Heidler’s business development team has a lot on their plate. They need to be out on the road, building relationships with property and facility manager on the corporate side of the business. But they also were also trying to manage the entire company’s marketing efforts across their residential, corporate, and specialty roofing arms. 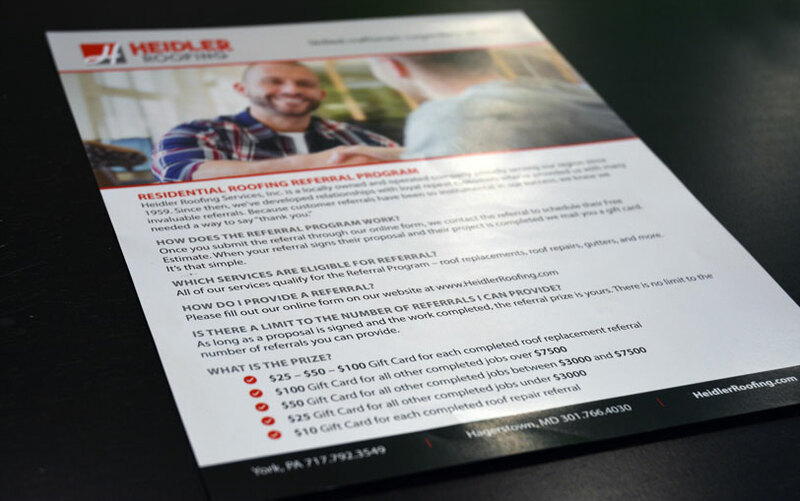 While Heidler had grown steadily over the years, they began to notice that the “old methods” that had worked for years were generating less and less return. Cold calling and solicitation were no longer welcome, and their website was outdated, and not showing up in search results. While they were getting good results from mailings and email blasts, they were frustrated by the huge amount of time it took out of their day. Their old email system limited them to sending 200 emails per day – out of a 4,000 member list. It was so bad, they had to start on the 1st of the month to get all the emails sent. Obviously, something needed to change. When Heidler reached out to EZMarketing for help, the first step was building them a great website. They were using an old templated site that was outdated, complicated to navigate, and hard to update. We replaced it with a custom-built website that’s simple to navigate and allows them to easily add new photos and content to keep things fresh. Plus, we included lead tracking software so they can track and measure the effectiveness of their website. Next, we needed to help Heidler get the word out and drive more traffic to their website. We optimized their website for relevant search terms for their two primary locations in York and Hagerstown. 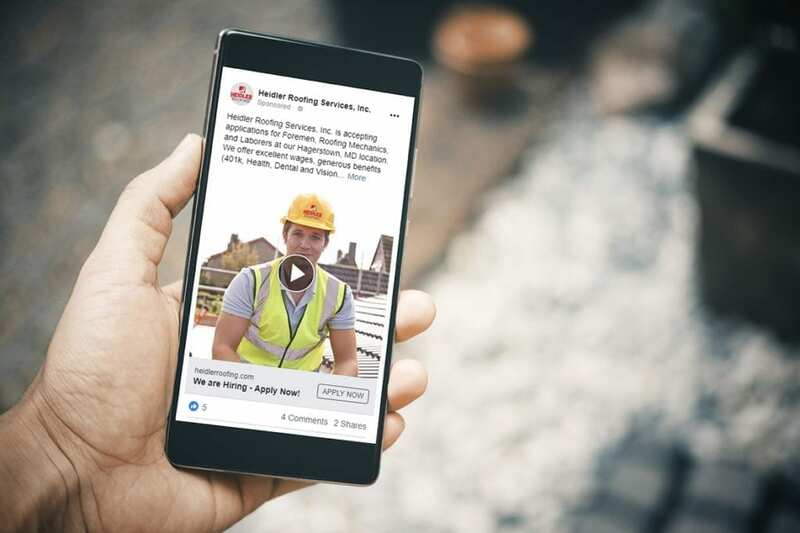 We then added a blog focusing on topics related to commercial roofing and specialty projects in order to drive more qualified traffic for those divisions. We also took on managing their cross-channel marketing efforts, including social media, email marketing, and even print. As they continue to expand their online presence and rise in the rankings, Heidler has seen a 120% increase in organic traffic, which means more leads coming in from the website. They used to get 1-2 inquiry calls per day. Now, they see 10-12 inquiry calls every day – a 10x increase. Even better, more than half of those calls typically turn into orders. What’s more, with EZ now handling email blasts, social media and more, their team’s time is no longer swallowed by day-to-day marketing tasks. Even changes to the website are a breeze now. Because Heidler has a team they can trust behind them, they’re free to focus their energy on business development and continuing to move the company forward.